How far would you bike to get to Akibahara? Sakamichi Onoda’s been making the 90km round-trip for years and when he gets challenged to a race he’ll have to put that practice to good use! Ever since he began high-school, Sakamichi Onoda dreamed of finally joining the anime club so he could find friends of his own to discuss all the latest anime with. In order to save money for capsule-figures, Sakamichi had been making the 90km round trip to Akibahara on his old “mommy-bike”, forcing himself to make the steep climb back home. After crossing paths with competitive cyclist Imaizumi, Sakamichi is challenged to a race which exposes him to a whole new world where he might finally make the friends he wants so badly. If you’re a fan of shonen sports manga or underdog stories in general, you’ll probably enjoy this one. Yowamushi Pedal contains many of the requisite traits of your usual sports manga - a protagonist who doesn’t know his own strength, a cocky destined rival/friend, the cute girl who loves the sport more than anything and more. However, what separates the series from many of the other works in the genre is the thematic focus on loneliness. More than anything else, Sakamichi’s loneliness is the driver for his introduction to the world of biking, with his desire more about finally finding a place where he can fit in rather than any particular need to compete for sporting glory. This is where Yowamushi Pedal stands out, as one can’t help but feeling something for Sakamichi in his loneliness as he longs for a group of friends to call his own, differentiating him from the legion of jocks striving for glory which are the focus of other sports series. The series premise is unique and pulled me in, and I enjoyed how different Sakamichi’s first exposure to cycling was compared to the usual path taken in many sports manga. Sakamichi is an otaku through and through and hopes that high-school will be a moment of change as has never had friends to share his passion with. Sadly, he quickly finds out that the school’s anime club is shuttered, but on his weekly trip to Akibahara he unwittingly finds himself challenged to a race by Imaizumi, the ace-in-waiting of the school’s cycling club. Sakamichi finds that he is surprisingly strong and able to compete thanks the strength he developed on his weekly 90km ride to Akiba. Make no mistake though, this is an underdog story through and through, but I enjoyed the very different take here, as Sakamichi’s loneliness rather than a drive to compete is the driving force behind most of his interactions with the other characters. This provided some extra emotional force for the moments where he realizes that he can compete and begins to have the smallest amount of confidence in himself. In some ways, this represents sports manga at its finest, showing a protagonist learning to overcome the odds and become happier with himself by competing in sports rather than single-mindedly trying to become the very best. That can come later, and I really enjoyed the foundation for Sakamichi’s own character arc which this volume set up, with the two “races” he participates in hitting all the right dramatic beats in an enjoyable manner. Along for the ride with Sakamichi are a cast of supporting bike lovers that each have their own distinctive role in the story. Foremost among them is Imaizumi, a serious competitive cyclist who is quickly established as Sakamichi’s friend/rival after challenging him to a race. Later in the volume, Sakamichi meets the brash yet loyal Soukichi Naruko who balances out Imaizumi and Sakamichi’s relative seriousness well. Rounding out the cast is the charming Miki Kanzaki whose enthusasim for bikes is endearing and a great help to Sakamichi in fixing his bikes. While we don’t get a lot of immediate character development in this volume, the cast strikes me as quite well-rounded, with each adding to the plot in a fairly interesting way. One thing I really enjoyed is the tangible sense of impact each of these characters had on Sakamichi, tying in to the theme of loneliness effectively as he grows just a little bit more with each passing interaction and I’m excited to see how this cast will develop in the future. If there is one glaring flaw that Yowamushi Pedal has, it’s that the art is almost uniformly unimpressive and failed to draw me in nearly as much as I would have liked. The artwork has a distinct roughness to it, with character designs feeling generally unrefined. I have to give credit to Watanabe for portraying the speed of each of the races effectively, giving the bikers an appropriately powerful feel which made the race scenes more exciting. However, the character designs were generally distracting and its a shame that they don’t look a little less rough with more consistency in the quality of the drawings. Yowamushi Pedal Vol. 1 is a promising start to the series, telling a compelling story which demands your emotional investment in Sakamichi’s struggle to find a place he belongs. The story is well-paced and enjoyable, providing some wonderfully uplifting moments which fans of the genre will be sure to enjoy even if the characters haven’t received a whole lot of development yet. 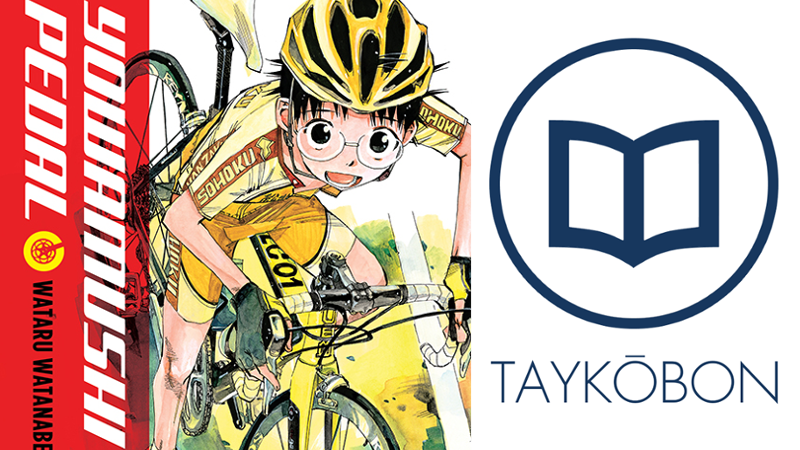 While the art is undeniably this series’ biggest weakness, the story is more than enough to justify giving it a read and fans of the genre owe it to themselves to give Yowamushi Pedal a shot. Yowamushi Pedal Vol. 1 was published by Yen Press on December 15th, 2015. Created by Wataru Watanabe, the series is currently ongoing and published by Akita Shoten’s Weekly Shonen Champion. Volume 2 (composed of volumes 3 and 4 of the Japanese release) will be published in English on April 26th, 2016. The series is currently ongoing in Japan with 42 volumes currently released.